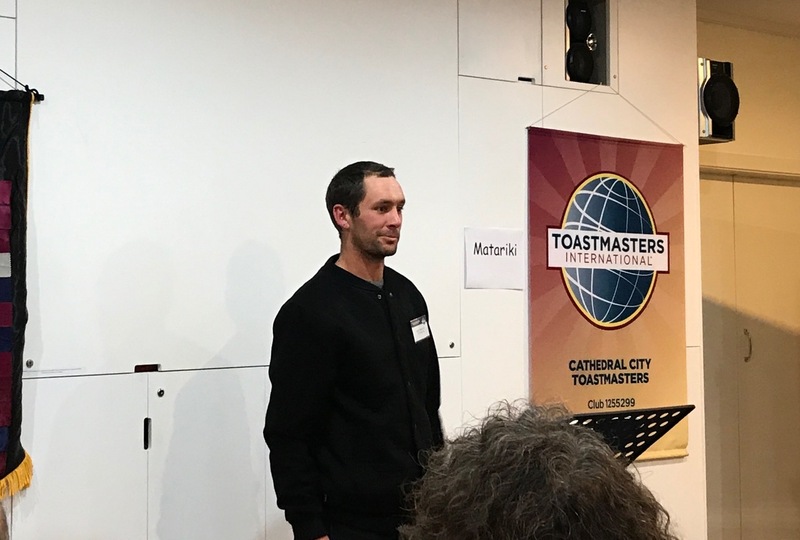 It was a fun night at Cathedral City Toastmasters, with Gary coming back from his extended holiday to run a great meeting. First up we had Ryan who did a fascinating bard reading about travelling through Africa. We all wish we were there to see the lions and elephants in their natural habitat. Next up was Diane who took on the role of grammarian. Diane introduced the word of the day, Matariki, but sadly no-one managed to incorporate it into their speeches! The only speaker tonight was Ade, who was completing a project from an advanced manual. Her task was to present an award, and she created some that were custom-made for our resident early childhood teacher, Diane. 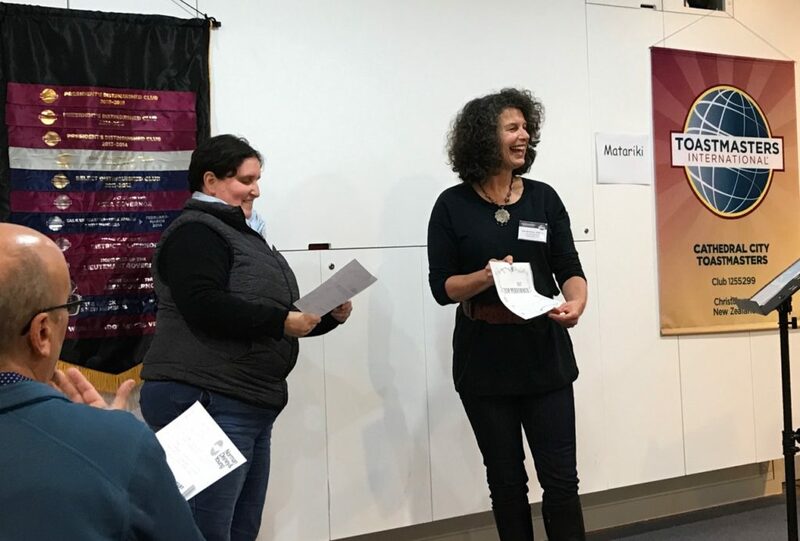 Ade did a great job of presenting Diane with a couple of wonderfully made-up awards for teaching, and Diane accepted the awards like a pro! Gary followed up by giving a useful educational about delivering evaluations. 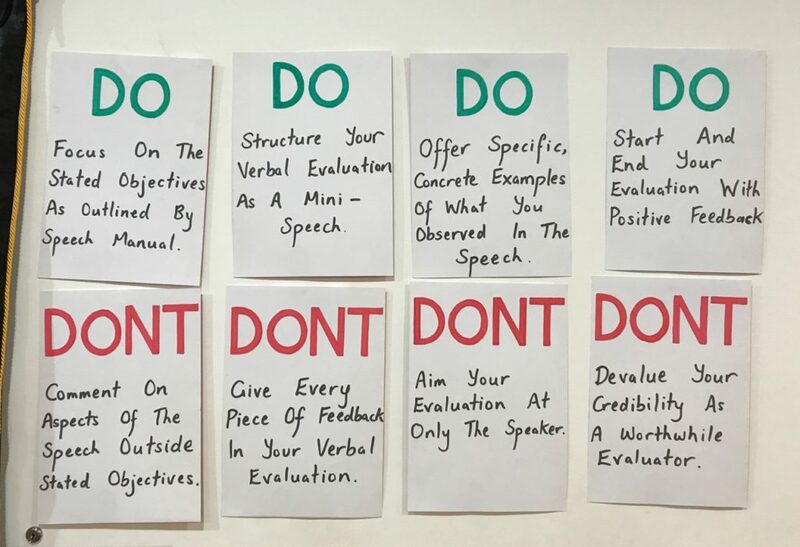 He focused on 4 “dos” and 4 “don’ts” and explained each one with examples. The table topics were handled by Jennifer, who brought along a bag of mystery items that participants had to pick and then explain what their chosen item means to them. We had a huge number of people take part and everyone did really well. After the supper break we had evaluations from JP, David K and David B, and the timer was Jessica. We also presented Ade with her certificate for completing the Competent Leader manual!